Indeed there's a child within us! I took the liberty (in total amusement) in taking this picture! Ptr John are you day dreaming? that's one pool of men.. hehehe.. was here for TT Jackie...hope to see you in my TT entry too... by the way, how's your pregnancy so far?? 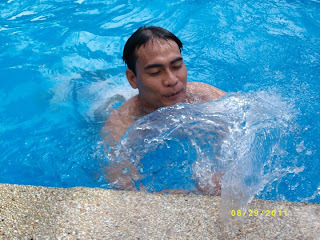 Lingaw kaayo mo nag swimming, Jac! Visiting for TT. Hope to see you at my WET and WILD entry! LOL. Thanks! wowowow! 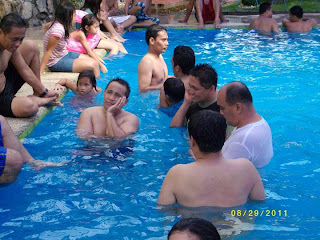 ka blue sa water oie...so inviting..visiting from TT sis. here's my Tuesday Travels entry, by the way.. hope you could lend some time to visit..have a great week ahead!